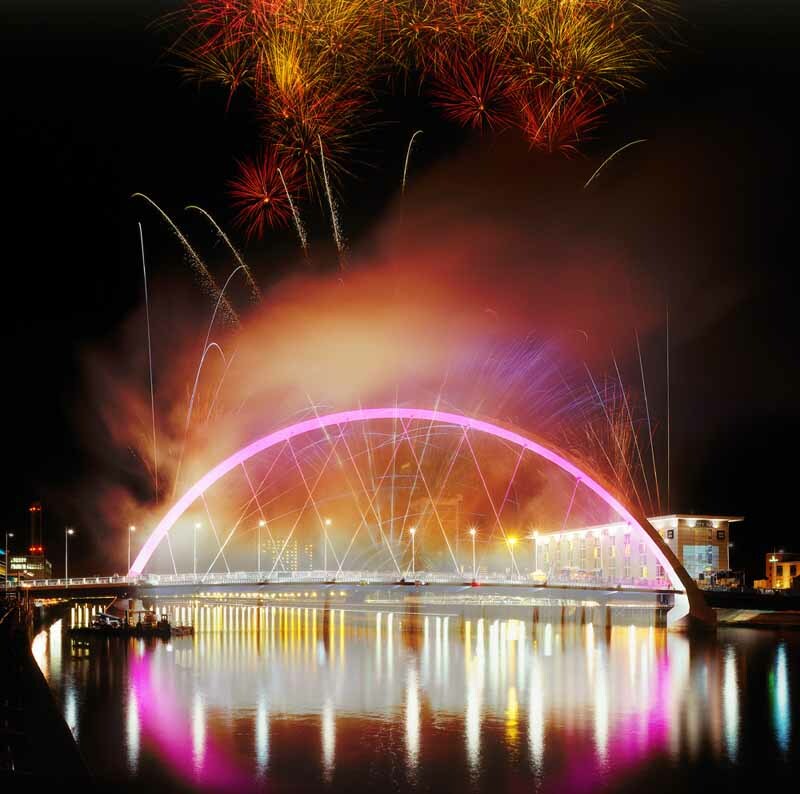 The bridge was named the “Clyde Arc” upon its official opening on 18 September 2006. 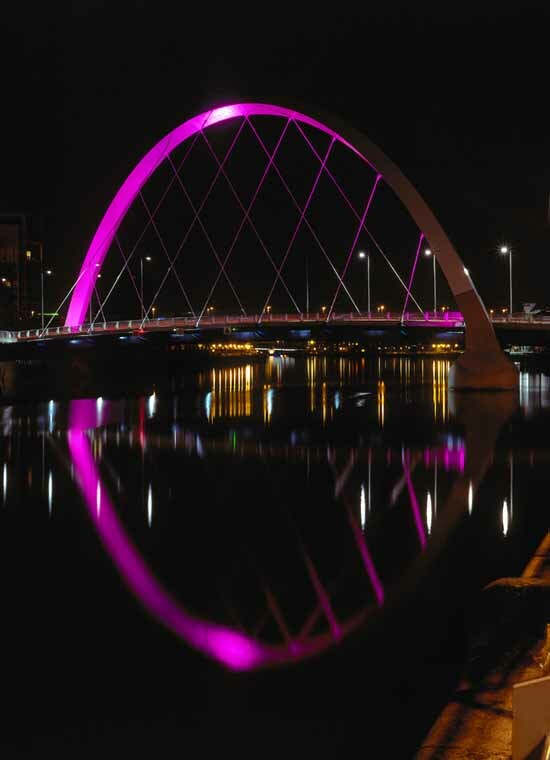 It has been previously known as the “Finnieston Bridge” or the “Squinty Bridge”. 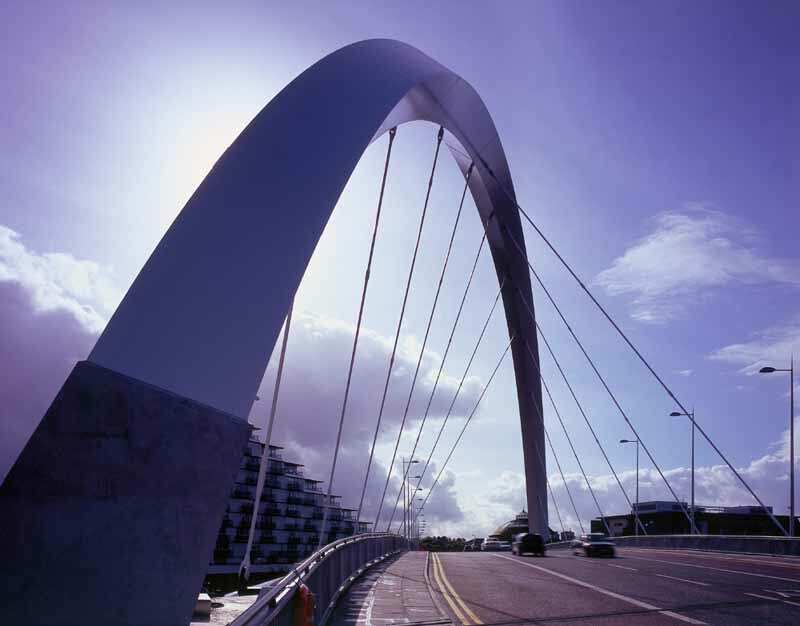 The bridge was designed by the Halcrow Group and built by Kilsyth-based civil engineering company Edmund Nuttall. Glasgow City Council instigated the project in conjunction with Scottish Enterprise and the Scottish Government. Piling works for the bridge were carried out from a large floating barge on the Clyde, whilst the bridge superstructure was fabricated offsite. The bridge-deck concrete-slab units were cast at an onsite pre-casting yard. 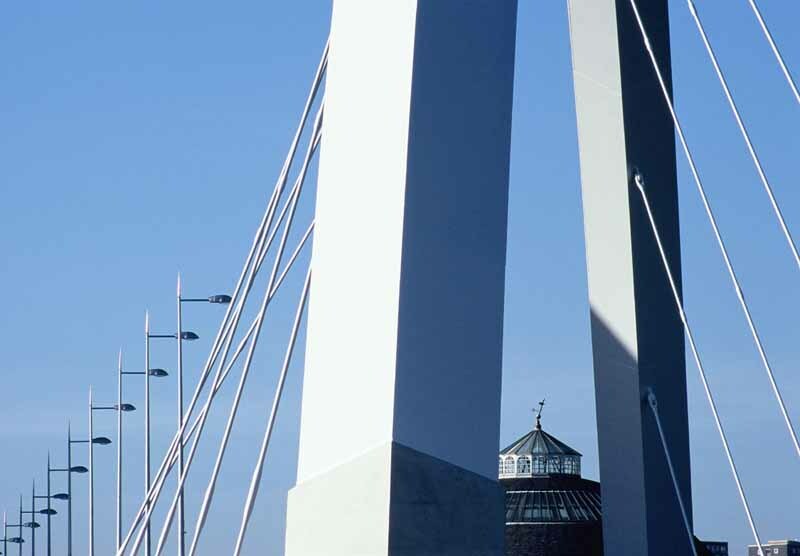 Planning permission was granted in 2003 and construction of the bridge began in May 2005. It was structurally completed in April 2006. 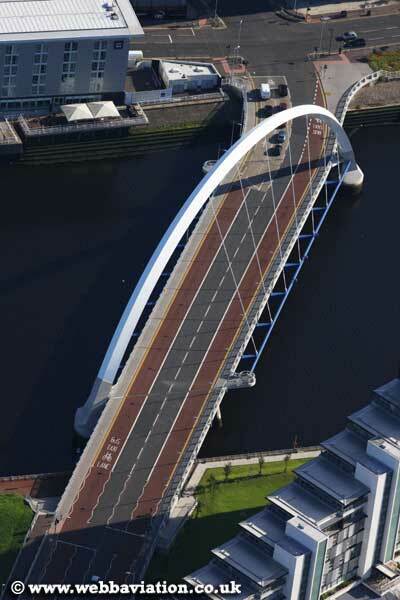 The bridge project cost an estimated £20.3m. The Bridge is designed to last 120 years.